Please select what aspect you wish to support, the type of gift, and the method of payment. You can make a gift by wire transfer to the following bank information. If you would like to make a gift by any other method, please contact the External Relations and Communications Office. Other forms of gifts are also appreciated, such as securities (stocks and bonds), real estate and personal property, royalties, licenses, insurance, etc. 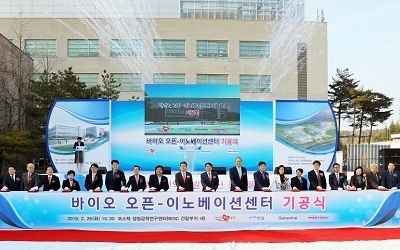 A bequest to POSTECH is a noble gift for the future. You can continue to impact the future of science even after death through your donation. Your gift can be designated to support certain areas of the request. * For any inquiries, please contact the External Relations and Communications Office at +82-54-279-2417.